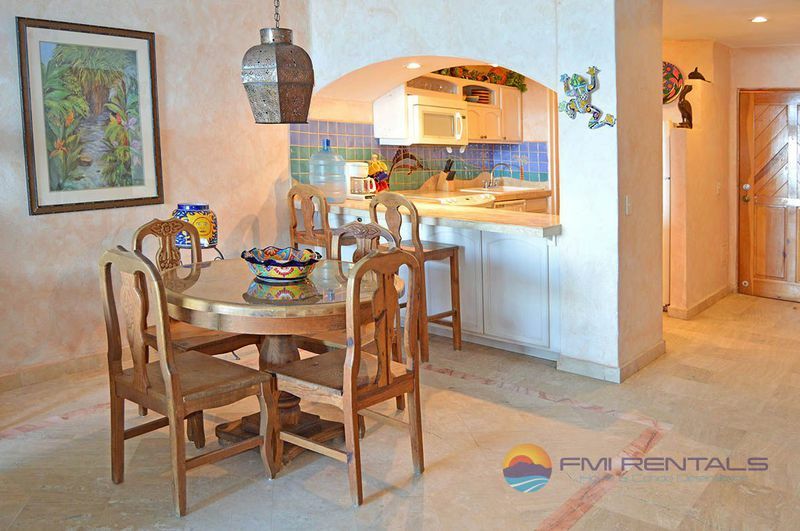 Just above the Sea of Cortez lies the condominiums of Marina Pinacate. 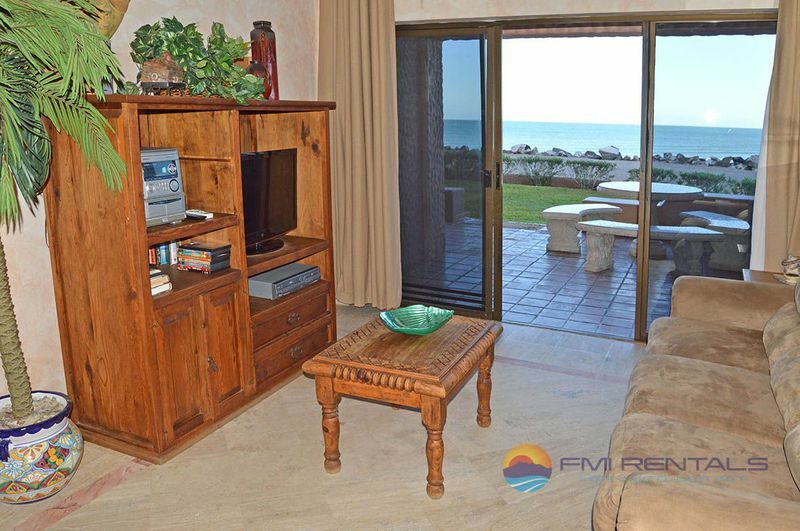 This resort was built just within reach of the sea so that locals and visitors could enjoy the magnificent views of the setting sun over miles of sparkling ocean waters from the windows of their Puerto Peñasco vacation rentals or vacation homes in Puerto Peñasco while also taking in the views of the local activities and people. Warm white sands, year round sunshine, unique food and friendly people make Marina Pinacate a memorable place to take a vacation, whether it’s just for a weekend visit or an extended stay for weeks at a time. 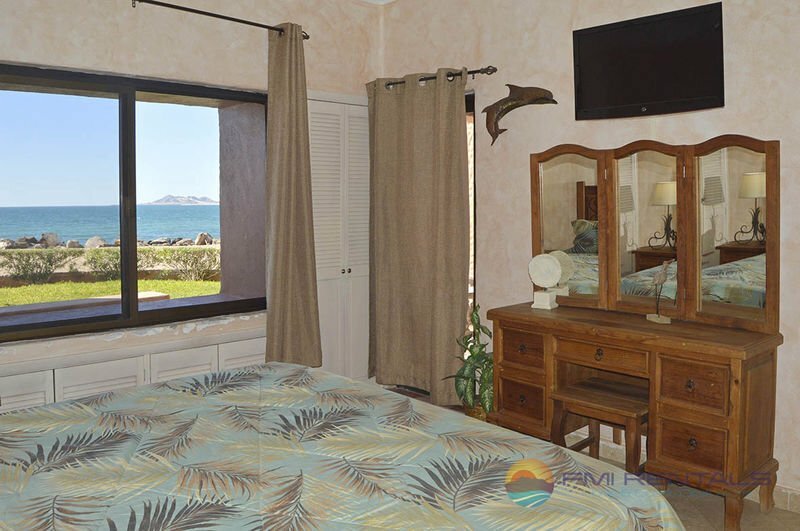 If you’re planning a visit to Puerto Peñasco, consider Marina Pinacate and vacation rentals in Puerto Peñasco for your visit. 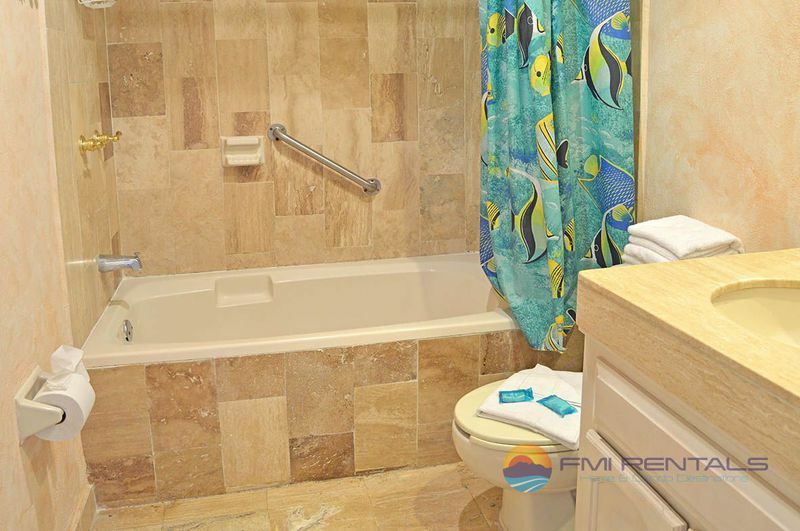 From your window you can watch the waves crash and the people go by, and should you care to venture down the beach yourself, you’re only steps away in this perfect 2-bedroom, 2-bathroom condominium with all the amenities. 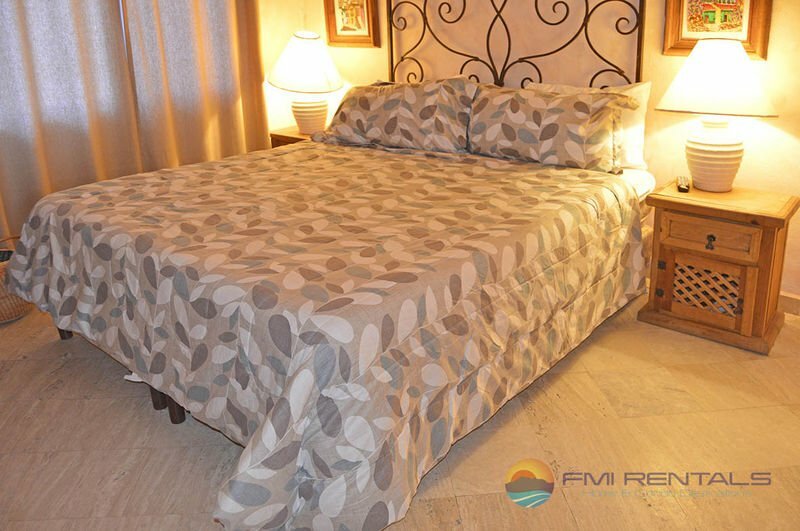 Located right on the ground floor, this condo has an expansive ocean view and comes fully equipped with all the comforts of home so you can stay as long as you’d like. 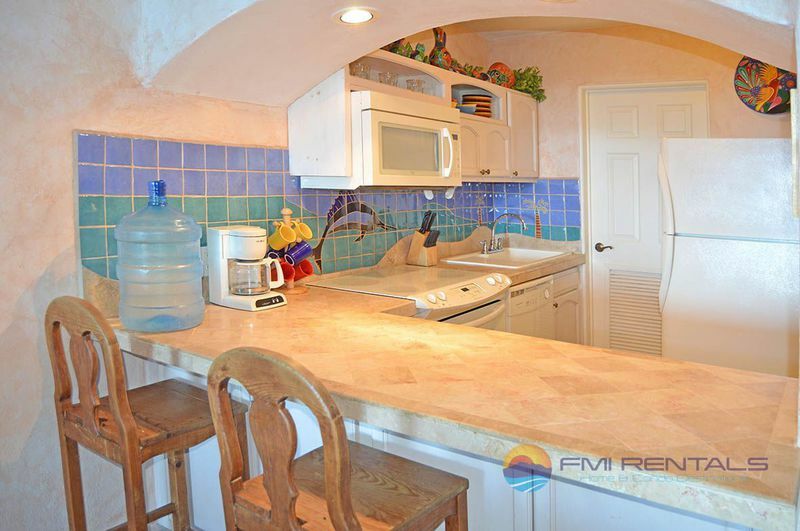 The full kitchen comes with everything you need to cook a good meal or two, including a full fridge, microwave, oven and stovetop, dishwasher, coffee maker, and plenty of utensils, cutlery, and plates. 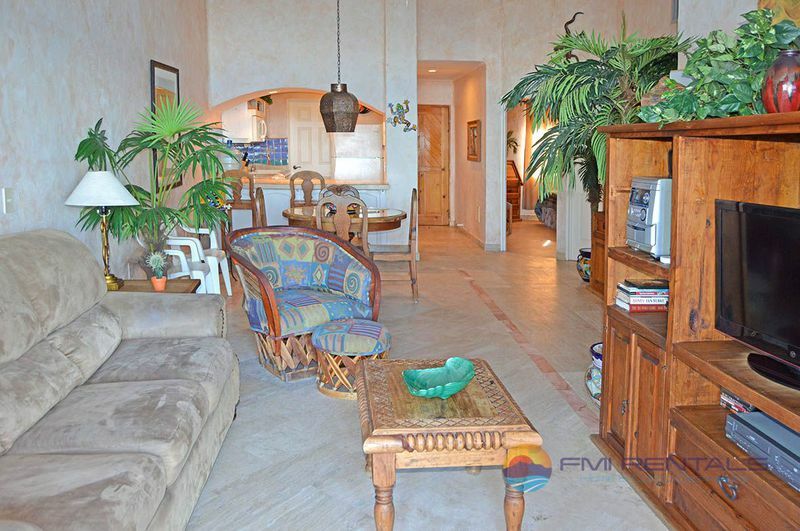 There is seating for 2 at the bar and a dining area with a dining table and seating for 4. Make yourself comfortable in the living room with a flat screen TV, DVD player, stereo and plenty of DVDs to watch on a comfortable sofa that is just steps away from your own private patio space. 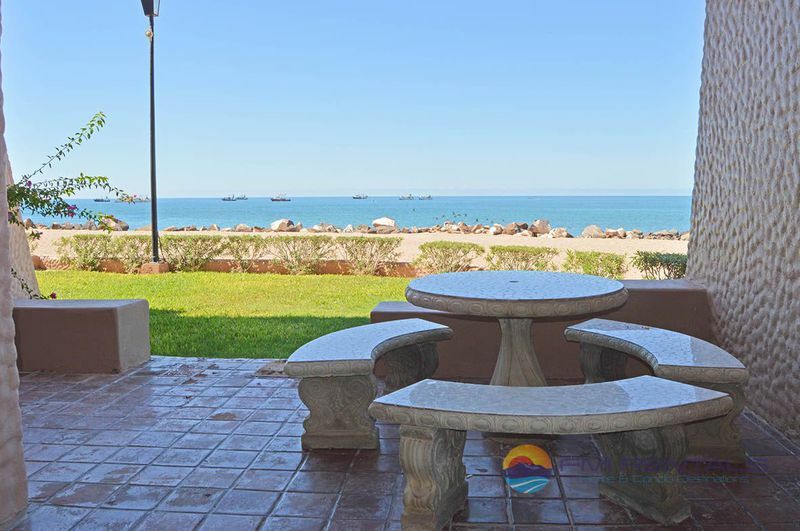 Out on the patio you’ll find outdoor covered seating for 6 with a table that looks out over the Sea of Cortez. This patio space makes it convenient to just step outside and soak in the view without having to leave the property. 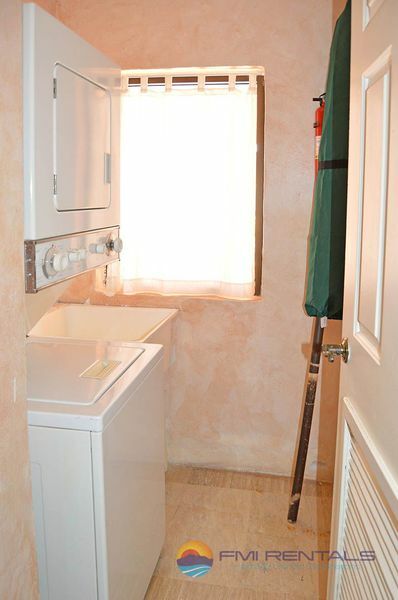 You won’t have to travel to find a place to clean your laundry as this condo comes complete with its own private washer and dryer, so you can stay for weeks at a time without having to find a laundromat or bring an excess of clothing. 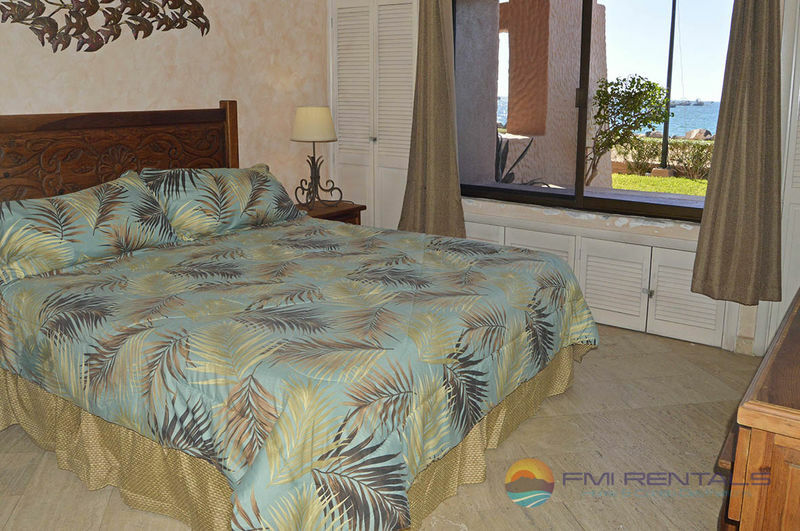 Soft, full beds with tropical bedding come with lots of fresh, clean linens and views of the outdoors just beyond the large windows. 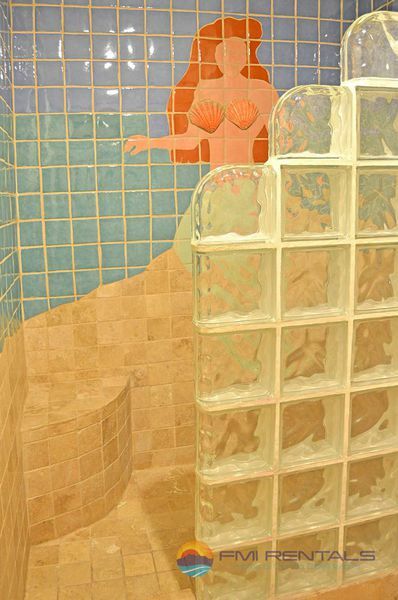 Spacious bathrooms with ocean-themed décor make this the perfect spot for a beach holiday.